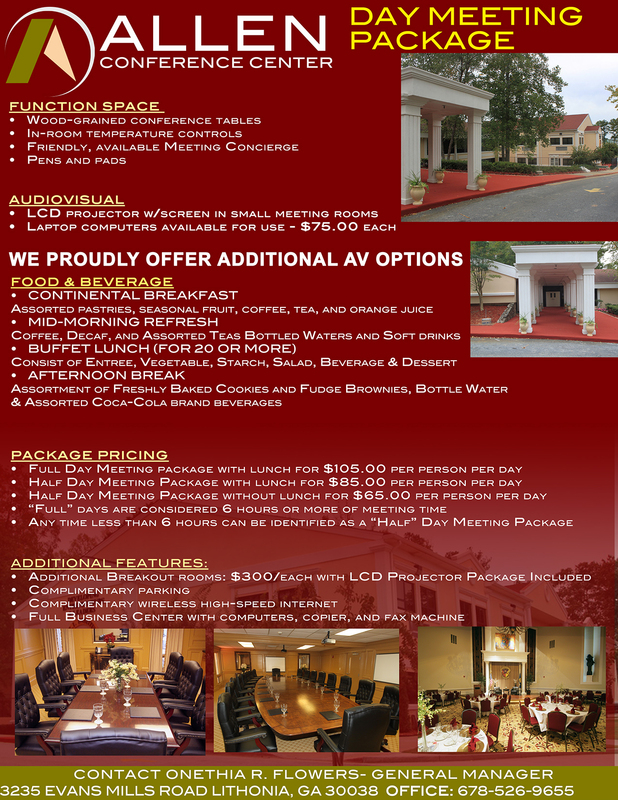 Located just twenty minutes from downtown Atlanta, the Allen Conference Center is the perfect destination for an unforgettable conference, corporate retreat or other professional event. Its elegant design, modern amenities and luxurious atmosphere create an elite, professional experience like none other. 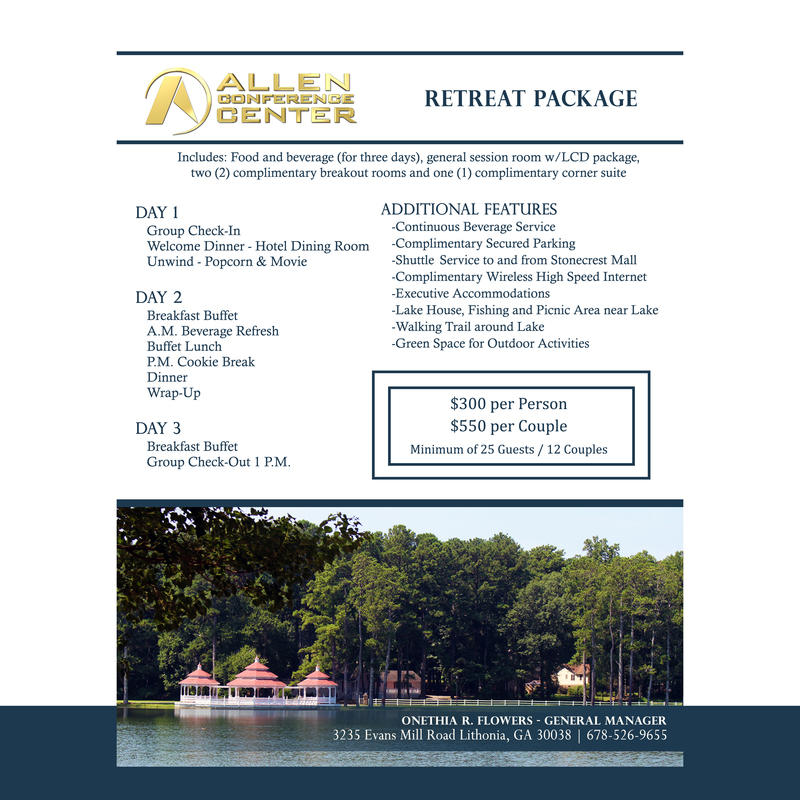 Within our private campus, your group will be able to enjoy the serenity of the expansive Allen Entrepreneurial Institute; featuring 35-acres of lakes, natural walking trails and more. 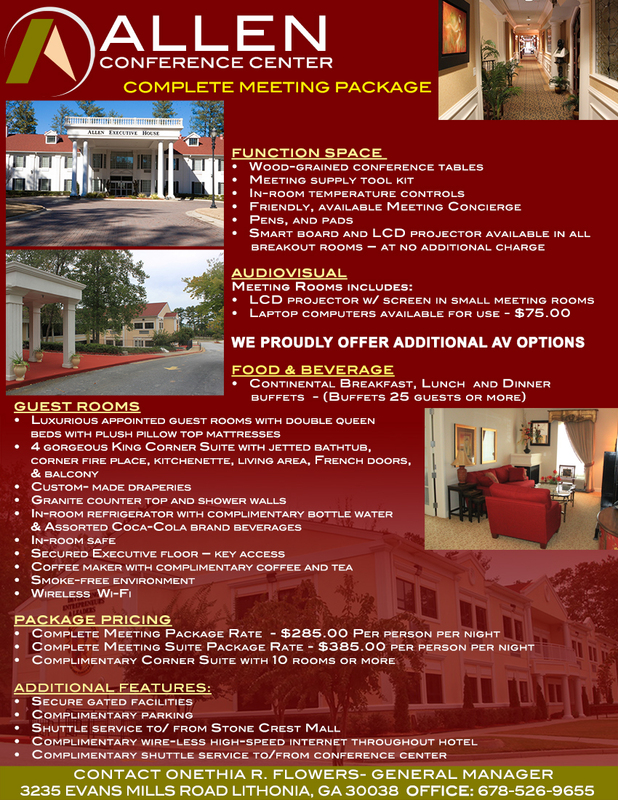 Additionally, ease of parking, in-house catering and diverse on-campus venue options have made the Allen Conference Center the venue of choice for many professional associations, C-suite executive teams, Heads of State and University Presidents.